RSD welcomes applications to join our Sixth Form. The process is very straightforward. Simply fill in the application form and we will keep in contact with you and let you know if you have been successful with your application, once GCSE results have been confirmed in August. 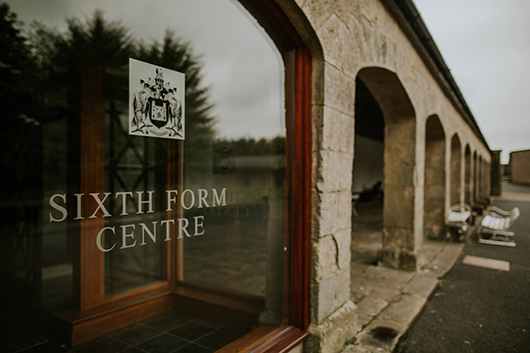 We hold a Sixth Form open afternoon in April each year to allow you to come into school and meet with current Sixth Formers who study subjects you have indicated an interest in, plus Sixth Formers who joined us from other schools. You will also have a chance to meet senior staff and subject teachers and have a tour of the school. It is an informal occasion with a focus upon allowing you a chance to explore RSD and ask questions, not just about study but also about life as a Sixth Former and the many activities in which you can become involved. You can find out a lot more about life in the Sixth Form and the subjects you can study by exploring the website. We hope you like what you see and choose to make an application. We would love to hear from you! To apply for a place in the Sixth Form at RSD please review the eligibility criteria below and complete the online application form. Alternatively, if you prefer, you can download the form to print and then post your application to the school. Criteria for admission to the Sixth Form (Year 13) by pupils from another school when places are available. 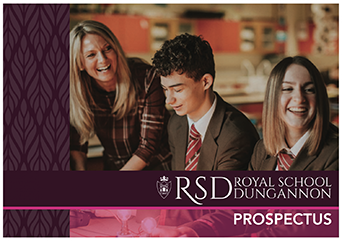 After the completion of the admissions process to the Sixth Form (Year 13) for pupils currently attending the Royal School Dungannon and undertaking GCSE studies in Year 12, the School will consider applications from pupils in other schools. The School’s enrolment number has not been reached. Availability of places in AS subjects selected for study. If undersubscribed, as set out in and 1 and 2 above, then a pupil meeting the criteria set out in 3 above will be admitted unless the admission of a pupil would prejudice the efficient use of resources in the School. If the School’s enrolment number has not been reached and more pupils apply for places than there are places available then the Admissions Committee will admit pupils on the basis of the rank order of their respective total points score at GCSE, with those achieving higher scores being allocated places before those with lower scores. The School wishes to continue its tradition of accepting children from a wide catchment area, irrespective of the proximity of their homes from the School. If however, after criteria 6(i) to 6(iv) have been exhausted it becomes necessary to make a final selection, priority will be given to the child whose home is closer to the School. 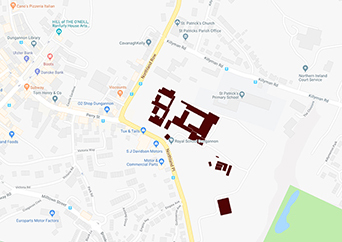 Distance will be measured in a straight line using an Ordnance Survey web distance measurement tool from the child’s home to the front entrance of the School’s main administrative building. The applicant’s home address will be verified by the school. The Department of Education may, in response to a request from a school, increase the number of pupils that the school can admit to its Year 13. Places that become available in this way shall be allocated only to pupils who meet the basic eligibility criteria for Sixth Form study (as set out below) and shall be allocated in the order determined by the criteria to be applied in the order set down. Pupils who have most recently completed Year 12 in the Royal School Dungannon. *Parents should note how the Department of Education (DE) will, in response to a school’s request, temporarily increase a school’s enrolment number in order to allow extra post -16 pupils to enrol. DE will only increase the school’s enrolment number if it is content that each external pupil for whom a place is requested would not be able to pursue their post-16 course-choices at another suitable school without undertaking an unreasonable journey (i.e. a journey, that by public transport, would be over an hour from where the young person lives or is further than 15 miles distance). If DE finds that no other suitable school may provide all of the post-16 courses that the pupil wishes to pursue – then DE will agree a school’s request for an extra place. What is a school of a type that is suitable for a pupil? The criteria addendum states that the Department will consider what suitable alternatives are available to a pupil for whom an additional place is sought. To determine suitability, the Department first considers all schools to be one of 4 types: (i) denominational (ii) non-denominational (iii) Integrated; and (iv) Irish- medium. A school requesting an extra place for a post-16 pupil will belong to one of these 4 types and the Department will consider any other school from this same type as suitable for the pupil. The Department will also consider as suitable for the pupil any school of the same type as that attended by the child in Year 12. I realise that a place depends upon (a) vacancies (b) academic suitability (c) language suitability (d) a good previous disciplinary record (e) ability to take a full part in extra-curricular activities. I understand that failure to produce full and accurate information may lead now or at any future date to the withdrawal of my child’s place in RSD. I understand that The Royal School Dungannon is the data controller of the personal information we hold about our pupils and their parents/families/carers/legal guardians. This means that RSD is responsible for deciding how it holds and uses the personal information which it collects. The School is required under the new General Data Protection Regulation (GDPR) to notify parents/guardians of the information contained in the RSD Privacy Notice, which was published on the school website on 25th May 2018. Before Submitting your application please check your responses to ensure that you have completed all sections.